Vocal cords, located in the voice box in the middle of the neck, are two tough, fibrous bands that vibrate to produce sound. 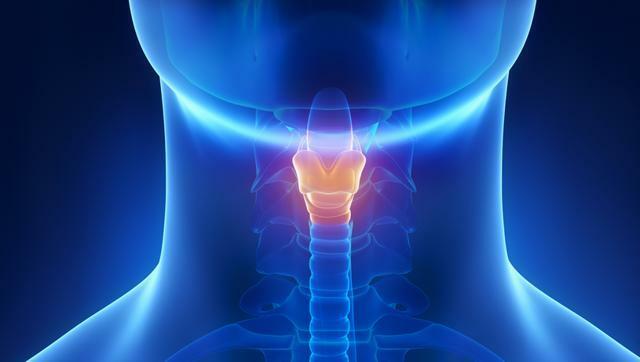 Like other tissues in the body, vocal cords can get strained and damaged. In a big breakthrough, scientists from the University of Wisconsin-Madison have successfully developed functional vocal cord tissue in the lab. Dr. Nathan Welham, a UW speech-language pathologist, and his colleagues, took the vocal cord cells from a cadaver, and four non-cancerous patients who’d had their larynges removed. From this tissue, they isolated the cells that make up the mucosae and then they applied them to a 3-D collagen scaffold. In about two weeks, the cells grew and formed a complex structure that looked and behaved just like normal vocal cord tissue. They tested this vocal cord tissue and transplanted it into animals. The tissue showed no signs of being rejected by animal models and it produced sound. This exciting finding is considered a major step toward restoring the voice of a person with damaged vocal cords due to surgery or injury. However, this research is still in the early stages, and a lot more research and study is required before the tissue can be tested in humans. PneuHound is a Little Robotic Dog Powered by You Guessed It… Pneumatics!